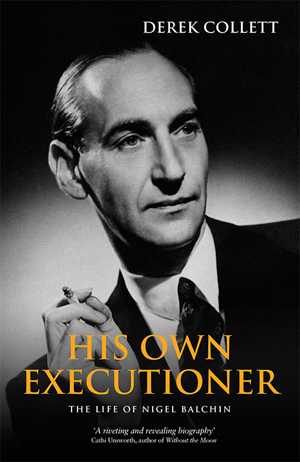 The first-ever biography of Nigel Balchin (His Own Executioner: The Life of Nigel Balchin by Derek Collett) is still available to buy. The book is available in two formats: paperback (ISBN 978-1-78132-391-5; RRP £11.99) and ebook (ISBN 978-1-78132-392-2; RRP £4.99). Blackwells, Waterstones, etc. In the UK, it is also possible to go into any bookshop and place an order for a copy. NB. If you live outside the UK and would like to purchase a copy of my book then please email me via the ‘Contact’ page on this site. I will then give you a quotation for sending the book to you at cost price. Unfortunately, the very low postage credits given to me by Amazon prevent me from selling books overseas on Amazon Marketplace at present.